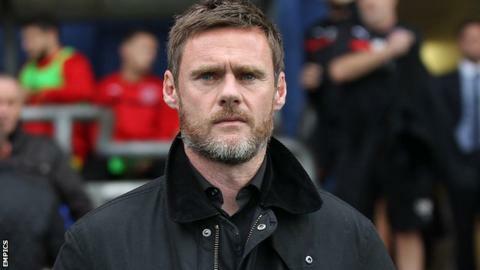 Fleetwood Town manager Graham Alexander accepted the responsibility for their performance after they lost 5-1 at Gillingham in League One. The Cod Army led at Priestfield, but conceded four goals in the first-half and another late on. It was their third defeat in a row and they are only a point above the relegation places after 10 games. "I'm the manager, of course I take responsibility," the 43-year-old told BBC Radio Lancashire. "I'm not stupid, I don't hide, I'm a man. "I've been through hard times as a player, I've been through hard times as a manager and this is a hard time. "Of course I take responsibility, I wouldn't dare put that on just a group of players as I'm the head of it."